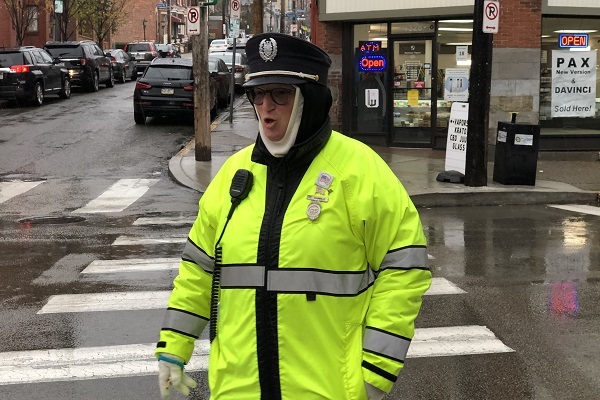 On a cold, rainy day in Lawrenceville, crossing guard Cathy Gamble brings a ray of sunshine to the neighborhood. “Hi, pal,” she says walking to the corner of Butler and 44th streets, where 4-year-old Dexter Nee and his mom, Lauren, are waiting to cross. “Did you ever hear that song? The ‘Rain, Rain’ song? I’ll bet you know it,” says Gamble, bursting out with “Rain, rain, go away. Come again some other day!” as Dexter follows along. Gamble, 59, of Lawrenceville, has worked as a crossing guard in Pittsburgh for the last 18 years, 15 at this intersection. 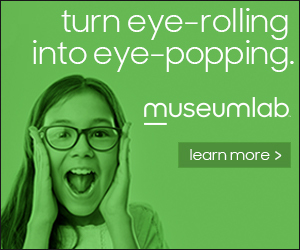 Kids are the favorite part of the job for Gamble, who takes their safety seriously while adding an entertaining aspect that is lighthearted, compassionate and a little silly, too. “When you have a little one that comes up running to you to tell you ‘Good morning,’ and they give you a hug, and I give them a little kiss on the forehead, it feels like joy,” she says. The crossing guard is on a mission to make new friends every day. She talks to anyone and everyone, always making eye contact and taking an interest. At the bustling intersection, Gamble hardly stays still. One minute she’s helping kids off the bus and the next she’s making hearts in the air and blowing a kiss at a passing car while directing traffic in the middle of the street. “Movin’ and a-groovin’ — that’s what I do,” she says. Crossing guard Cathy Gamble is laughing and singing in the rain! Photo by Stephanie Hacke. Gamble occasionally breaks out in a dance while bursting into song, a trait her young charges appreciate. “She has a really funny personality,” says 12-year-old Eva Schumacher. The song ends with a “Woo!” as Gamble jumps in the air in excitement. “After these kids have been in school all week, they need a little pep up,” she says. Holidays are a special time at Butler and 44th streets. Around Christmas, Gamble buys candy and stuffed animals and has her brother dress up as Santa Claus. Together they pass out goodies to the kids. She offers candy for Halloween, and hearts for Valentine’s Day. For moms and dads, Gamble’s lovable, energetic, caring personality is uplifting.